It was a record breaking day as predicted. Unfortunately, for most, it was also painful. A record setting turnout of 43 teams attended despite freezing temperatures, snow, wind, plus rising and muddy waters. Only five teams weighed limits. In all, just 15 teams managed to land a keeper. The clear highlight was the winner, Ron Fabiszak, who brought the heaviest bag to the scales in R & B History, and the second heaviest bass in our four year history. The tournament directors want to thank all participants for their patience during registration and the shuttle service. We specifically want to thank, in no particular order, the following for their help: John DuPont, Steve Januchowski, Mark Fennell, Travis Schroeder, Tom Reed, Josh Stalcup, and Rick Bauer. 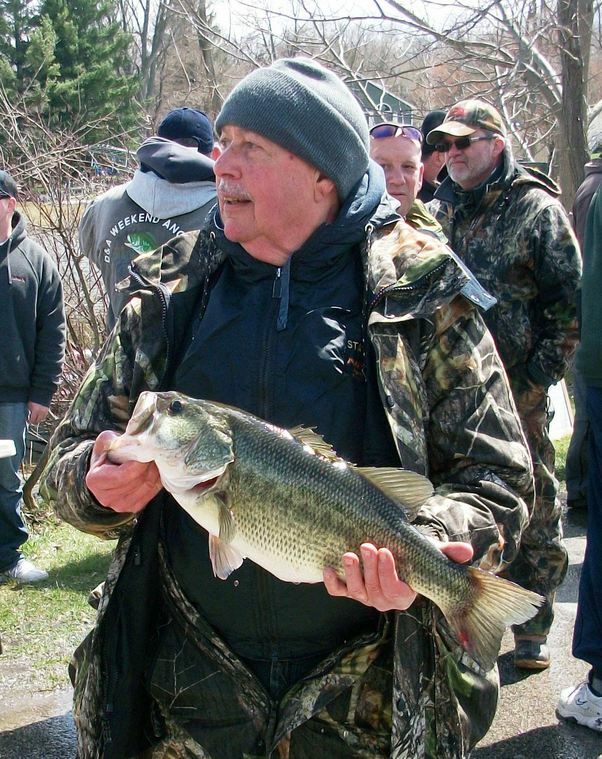 1st Place: Not seen at an R & B tournament since the inaugural 2010 season, Ron Fabiszak took the bull by the horns and posted the most lopsided victory (5.5 pounds) up to date. His 21.44 pound limit is also the largest ever recorded, and his 5.98 pound largemouth is the second largest. 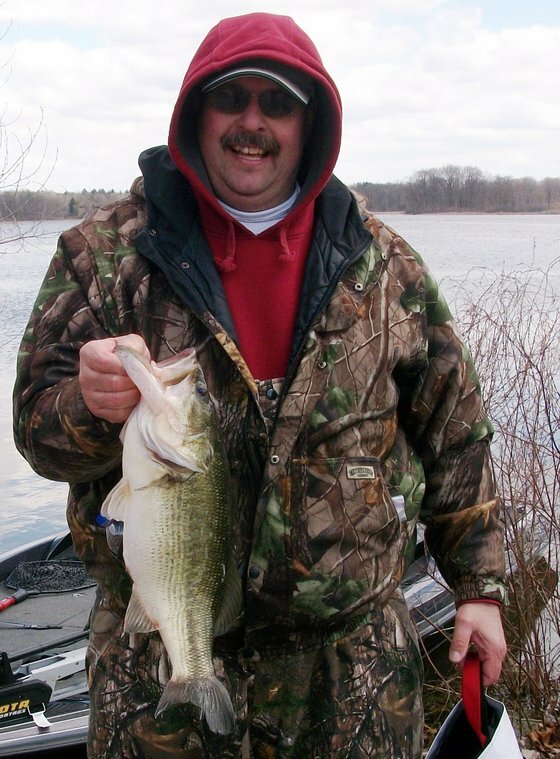 Interestingly, the heaviest bass recorded in our books also came from Webster Lake in 2011. Regardless of the weight, it was not easy fishing, “I caught fish in three different areas, but only caught five keepers altogether and a handful of shorts.” He admits to having found the key areas in practice and timing had something to do with it: “I was out once before the water had gone up and was able to find the points of the pad fields. With the GPS, I was able to stay back and cast at them. Those points are where I got bit.” Competitors on Saturday found the pads submerged, making it nearly impossible to find the sweet spots before coming up on them. And coming up on the pads was detrimental according to the winner, “It was important to let the area rest, keep off the trolling motor, and make long casts. 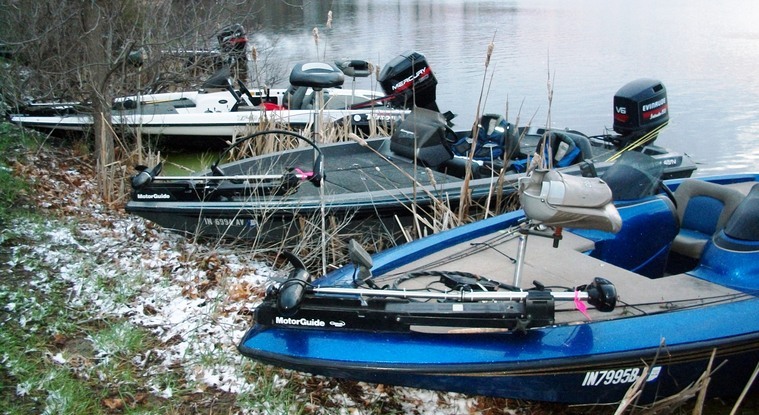 When other boats were moving through the area with their trolling motor, the fish did not bite. But when I was able to stay still and the area was able to rest, then the fish bit. You could almost predict it.” He also noted the fish bit more when the sun was shining. His weapon of choice was a chatterbait, and his retrieve was painstakingly slow. The bites were peculiar, “It was like they were munching on them. If you set the hook too soon, you would miss them. I could feel the fish biting his way up the bait, but I could not set the hook until I felt the weight of the fish.” At 1:15, the big fish bit. It was his fifth and final keeper. The big fish won him $344 while the win awarded him $748, bringing his final winnings to $1,092. 2nd Place:Greg Mangus and Kevin Fletcher were already tied with the most victories in R & B History, but now they also find themselves tied for the most Top 5 finishes. 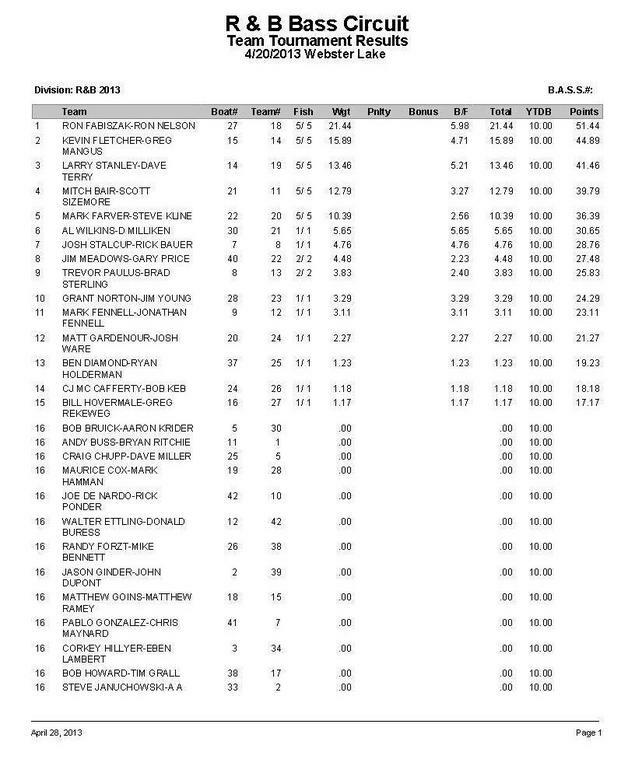 Maybe more importantly, though, is they now claim the top spot as the All Time Money Winners. scheme. Again like Fabiszak, their retrieve was extremely slow. After landing two keepers on the mainlake, they moved to the Backwaters and never left. Here they landed six more keepers, including their two biggest. Despite the horrendous weather and cold water, Fletcher admitted looking deeper was never a consideration: “The fish are two to three weeks from spawning. They should be shallow; they have to be shallow. Plus, when I was on the mainlake in practice, I saw very little baitfish. The water temperature does not move the fish as much as it influences their mood.” Their 15.89 pound limit won them $454. 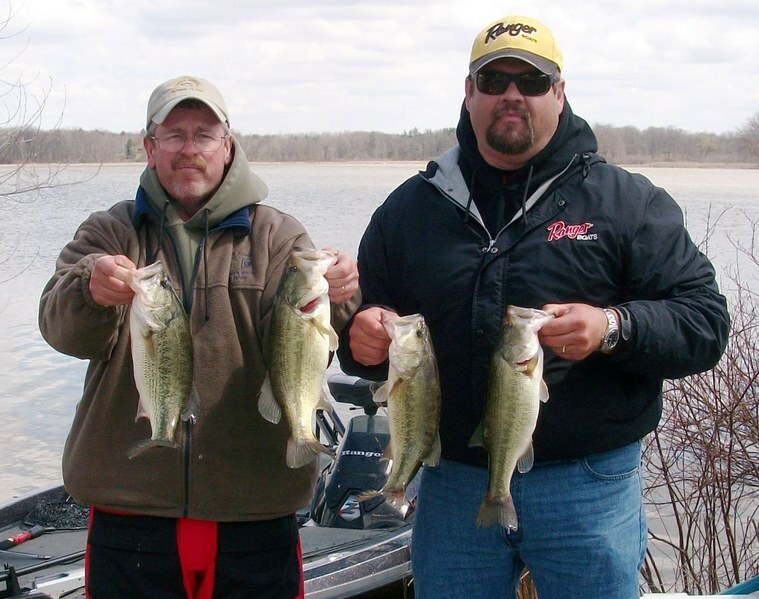 3rd Place: Newcomers Larry Stanley and Dave Terry wasted no time making themselves comfortable in the R & B Bass Circuit. After bagging a 13.46 pound limit, which included the third heaviest fish of the day - a 5.21 pound beast, they took home $340. They spent all of their time and caught all of their fish in the Backwaters in five feet of water. Two different colored rattle traps, rayburn red and firetiger, were their weapons of choice. In fact the fish did move. In practice most fish came from just two feet of water, but by Saturday, they had moved out to five feet. However, it took them two hours to locate them. Their first keeper came at 9:30. Like all teams in the Top 5, the presence of lily pads were vital. Welcome to the R & B Bass Circuit Larry and Dave. But now we know who you are, there will not be any sneaking up on us again! 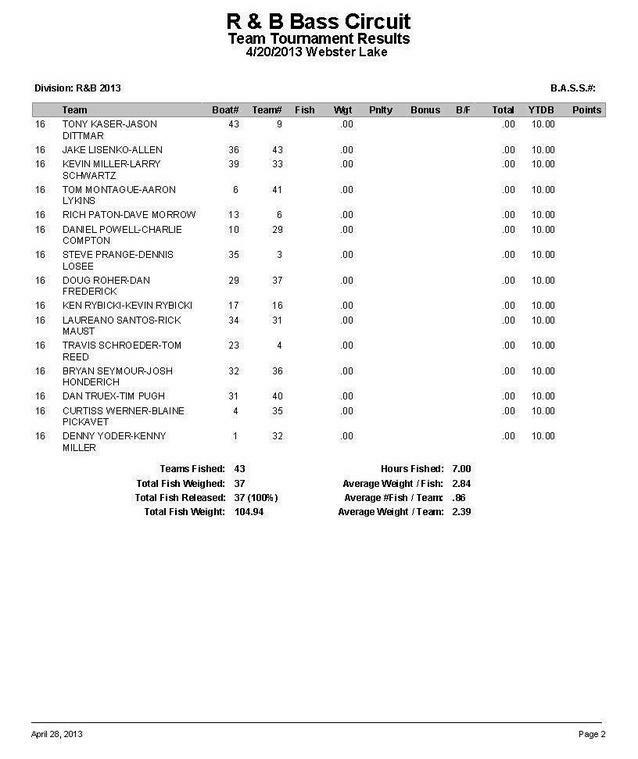 4th Place: Before Saturday, Mitch Bair laid claim to the third heaviest bass in R & B history. His history on this body of water is rich, which makes it no surprise he and partner Scott Sizemore had success. They were nearly prophetic as they hooked and landed just five keepers to go along with four shorts. “It was a real grind. We felt as though to get bit we would need to nearly hit them in the head for a reaction bite,” Bair confesses. The duo had two areas close enough to troll to and would hit each spot for approximately 90 minutes before moving to the other. “We fished the snot out of them and then let them rest before coming back,” added Bair. Once an area was worked over thoroughly, they repeated the process. 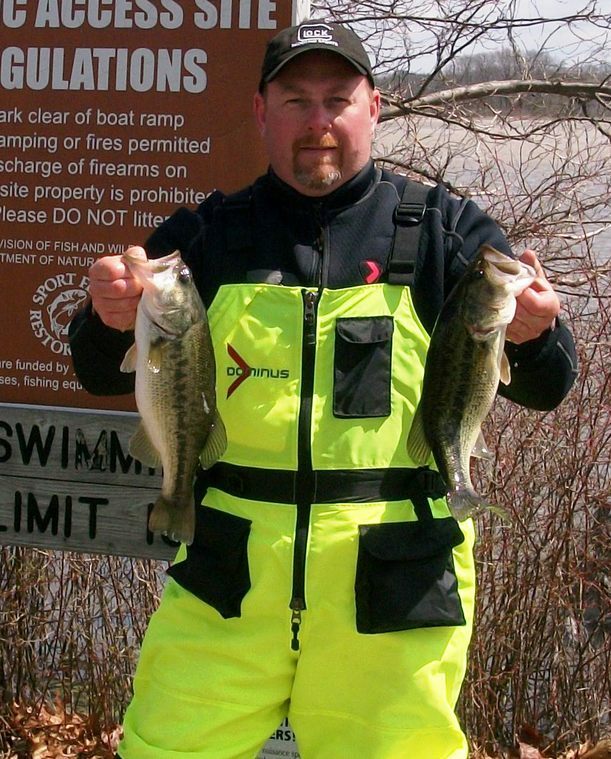 They threw everything but the kitchen sink and landed two keepers on a jig, two on a rattle trap, and a single bass on an old Countdown Rapala minnow. 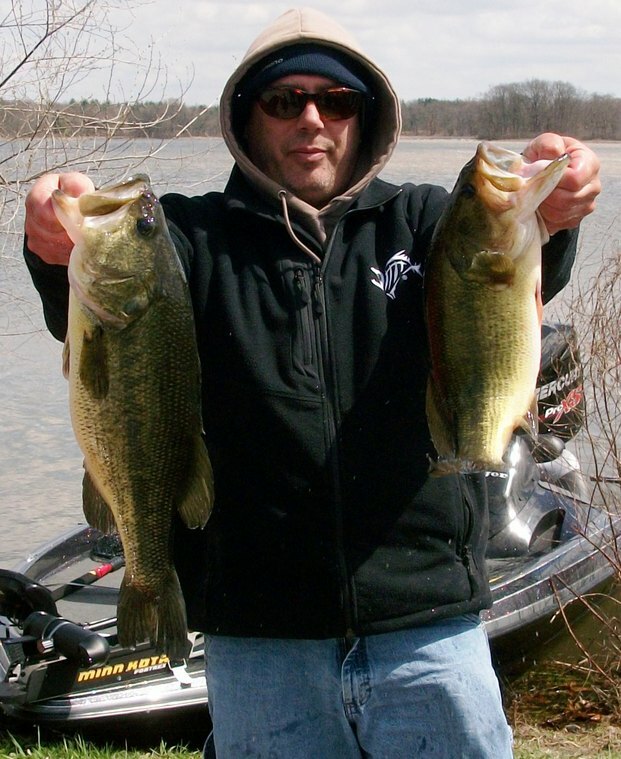 The R & B veterans’ best five bass weighed 12.79 pounds which gave them $158. 5th Place: In eight R & B tournaments, Mark Farver and Steve Kline have claimed a Top 5 spot in four of them. At Webster Lake, they relied on past experience to guide them through. According to Farver, “Our practice was not good. We had nothing to be confident in, so we just began in an area that has been good to us in the past.” And boy was it. fish came from a small area that consisted of “stained, not muddy, water and green weeds.” Green weeds have been absent in Webster for a few years now. While they experienced a fast start, things unraveled a bit. Farver admits, “The first two hours were great! But it did slow down after that significantly. 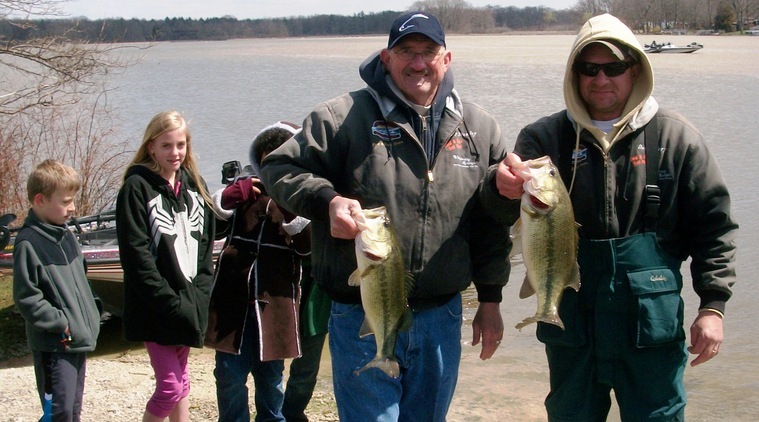 We tried different colors and even tossed jigs to some lily pad roots, but we could not reignite the school.” They did stick two keepers with the jigs amongst the pads, but struggled to get bites after the first two hours. 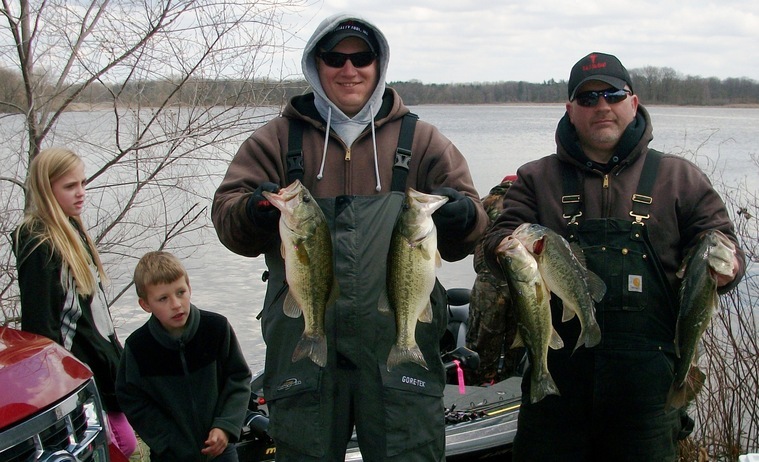 Their best five bass weighed 10.39 pounds, which won them $158. 6th Place: Hal Wilkens and Dave Milliken landed just one fish, but it was a valuable one. The 5.65 pound monster was not only good enough for $136, but was also the second biggest fish of the event and won them an additional $86, making their efforts worth $222. 7th Place: Josh Stalcup and Rick Bauer ended 2012 on a roll and are picking up where they left off. They too only landed one keeper, but it was a 4.76 pound hawg that won them $114. 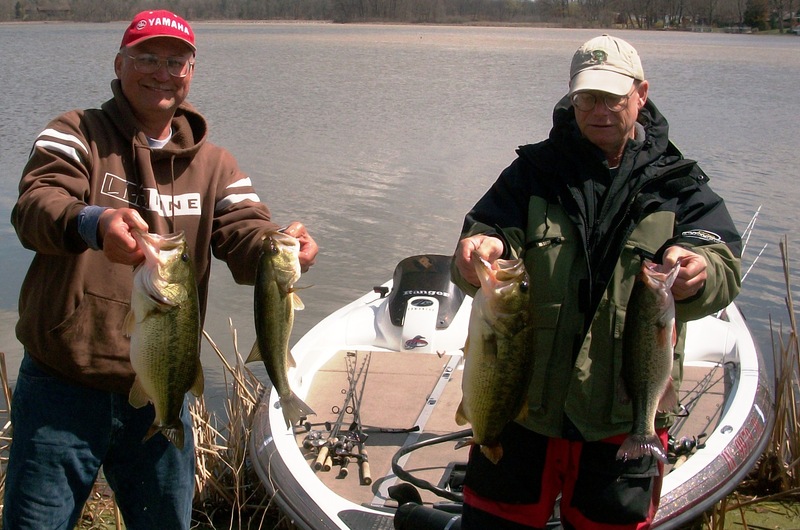 8th Place: After scoring at the 2012 Classic, Jim Meadows and Gary Price also pick up where they left off by bringing two bass to the scales weighing 4.48 pounds and winning $90. 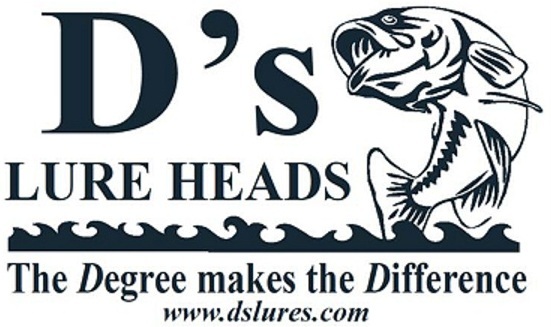 D’s Award: The efforts of Trevor Paulus and Brad Sterling, two fish weighing 3.83 pounds, awarded them t-shirts, tube baits, and tube jigs provided by D’s Lures. Solar Bat Incentive: Any R & B member who has purchased a pair of Solar Bat glasses in 2013 would be eligible for this money. Unfortunately, the bite was so poor, not even nineteen teams weighed fish. Starboard Choice Marine Challenge: The magic number drawn before the tournament was 20. Any team whose boat boasted the Starboard Choice Marine sticker and finished 20th place would have won a $100 certificate. But like the Solar Bat Incentive, not enough teams weighed fish. The good news: the $100 certificate carries over to the Tippecanoe tournament, May 18. Thus, the award will be worth $200 in certificates at Tippecanoe.